A Top Producing Real Estate Co. with a passion for historic homes. We specialize in selling the historic districts because knowing how to value a historic home is an art and cannot be done by a computer generated website. We also specialize in representing physicians and professionals who are relocating to metro-Boise area. We provide free 2 hour community tours by car or bike to showcase the best neighborhoods in the Boise area and show you how your ideal lifestyle fits here. Business woman that happens to sell real estate! We believe that you should live in communities tailored to your lifestyles. A large part of our focus is on new construction, builders and development. Real estate services representing buyers and sellers of smart growth, urban residential projects and resale properties. 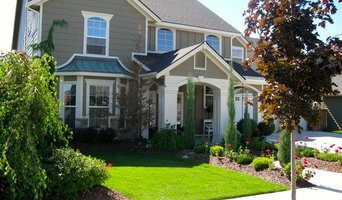 I am a Real Estate Agent specializing in marketing and selling residential properties in the Boise Metropolitan Area. My personal commitment is to build long-lasting relationships with my clients and provide professional services that go above and beyond industry standards. About Us With Boise Real Estate Pros you get more than one-on-one attention and commitment to excellence, but rather, you get two for one! We have been business partners for 15 years, beginning our partnership in real estate appraising where we grew our knowledge and love of the real estate business. Whether it’s our work, our families or our hobbies, we are passionate about everything we do. We have the energy and stamina to stay with our clients through every step of the process–start to finish, no exceptions. Working with Boise Real Estate Pros will make you laugh and even enjoy the process of buying or selling your home. Accel Realty Partners is a dynamic “lifestyle brand” real estate company, dedicated to empowering and advancing our business professionals. From the start, we were designed to be a company that is invested in the success of our people - not because it would increase our profits – but because we see the future of our industry and truly care for the best interests of our Agents. Our goal was to build a company that focuses on fostering a unique culture and gives every person a platform to advance. We are a community of professionals who have come together to impact an industry, make a difference in our local communities, and support one another. We are a dynamic real estate brand dedicated to empowering and advancing tomorrow’s real estate leaders, today. Our company is redefining and modernizing the real estate business through efficiency, technology, and education. 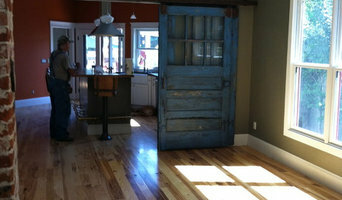 Boutique real estate firm located in the heart of East Boise. We provide our clients with unique marketing strategies, materials and plans to provide the maximum exposure to sell their home. 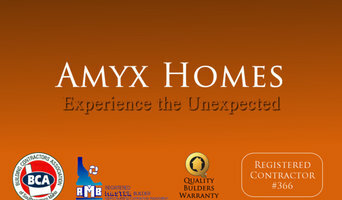 Vast experience in real estate & up to date knowledge of market conditions to serve both buyers & sellers. Hiring a professional Boise, ID estate or letting agent really is essential in the modern housing market, so it’s important you find the right one for your move. Good Boise, ID estate agents will be trained to handle all the regulations, laws and standards relating to buying, selling and letting properties in your area and the UK, and even better letting agents and property agents will be able to advise you on location, price and ways of improving property value if you’re selling. How do I choose a Boise, ID letting agents or estate agents? For many people, the estate agent or letting agent they end up using depends on the best properties they can find on property agents’ search engines online. But if you’re searching for a particular style of property in a particular area, then it’s a great idea to try to find a local Boise, ID estate agents that specialises in that style and area, and then they’ll be able to handle the search for you. If you are selling your house, it may be harder to work out which agent you should use. That’s why we’ve made it easier to compare each company on Houzz. We list Boise, ID estate agents that work exclusively with architect- and interior-designed properties, so if you’ve been hard at work redesigning your home to improve its value, you can find the property agents that will do it justice. There will even be Boise, ID property agents and companies that offer home staging and professional interiors photography, or work in partnership with other professionals that offer this, to show off your home to potential buyers. There are also some Boise, ID letting agents that will help you to get the best price for your property if you plan to rent it out, by helping you create an appealing home that can be adapted, but not majorly altered, to your tenants needs. Of if you just need a traditional estate, letting or property management agency in Boise that will sell your house for the best price, you’ll find plenty here too. 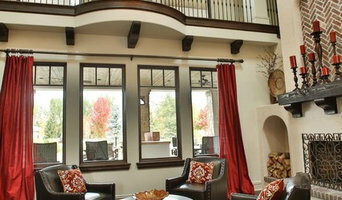 Find Boise, ID estate agents, property agents or letting agents on Houzz. 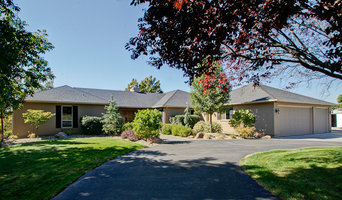 Narrow your search in the Professionals section of the website to Boise, ID estate agent or letting agent. If you’re in the market to rent, buy or sell a home, you may be interested in hiring other professionals as well. Here are some related professionals and vendors to complement the work of estate agents: Home Stagers, Photographers.